Mangoes are in season and anywhere you go you will find people buying and selling mangoes. So I thought why not a dessert to cool of the summer heat with a summer fruit. 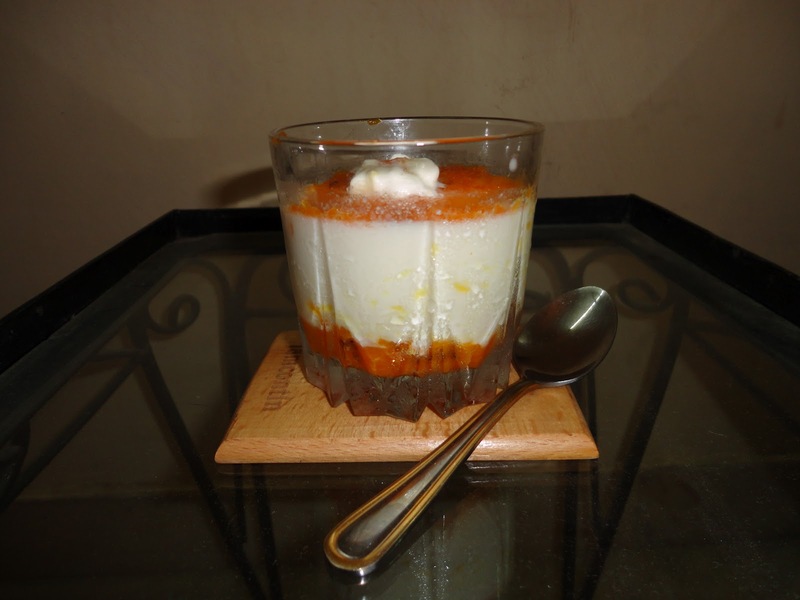 Today’s recipe is Mango Relish Panna cotta. It’s quite simple and easy to make. 1. Take the unripe mango and grate it. Heat oil in a pan and add ½ tsp fennel seeds and the red chilli. Once the fennel seeds and the red chilli start to change colour add the grated mangoes and sauté for some time. Now add 1 cup sugar to the pan and continue stirring till the sugar dissolves and you get a jam like consistency. You can also add a pinch of red chilli powder to get that kick of sweet sour and a hint of chilli but it is optional. 2. In the meantime cut the ripe mango into small pieces and store for later. Mix the gelatine in cold water and let it stand for 10min. 3. In a pan add the milk and the remaining sugar and bring to a boil. Stir continuously to avoid the sugar sticking to the pan. Now add the cream and the fennel seeds. Mix well and let it simmer for some time. Take it off the heat and add the fruit essence. Now add the gelatine to the milk and cream mixture and stir it nicely. Let it cool. 4. In a glass or small bowl first put a layer of the mango chutney and then add a layer of the milk mixture. Add a few pcs of mango to the milk. Top it with a layer of mango chutney and a dollop of whipped cream. It not only looks heavenly but tastes heavenly too!